Luanne Rice, like Anne Rivers Siddons, has an uncanny ability to convey a family's sweetest joys and its darkest secrets. 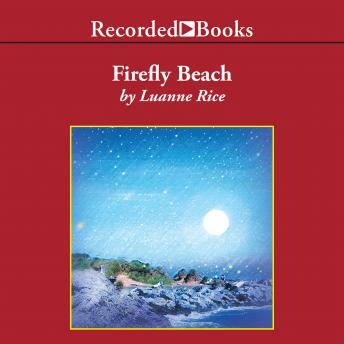 Firefly Beach is a poignant story of two people struggling to move beyond the tragedy that links their lives. As a child, Caroline Renwick watches, horrified, while a desperate man kills himself. After she learns that the man has a young son, Joe, Caroline begins writing to him, and they become close pen pals. But several years later, when Joe is told the reason for his father's death, he turns away from her. Now, meeting as adults at Caroline's ancestral home, they have a chance to confront and heal that old wound. But what will be the emotional cost? Set on the picturesque New England coast, Firefly Beach captures the magic of a summer that changes a woman and her family forever. Narrator Alexandra O'Karma infuses this novel with a special glow, enhancing each fateful mood and moment.